The Dunbrody Famine Ship has received an award at each of the 2014, 2015 & 2016 CIE Tours Awards of Excellence. 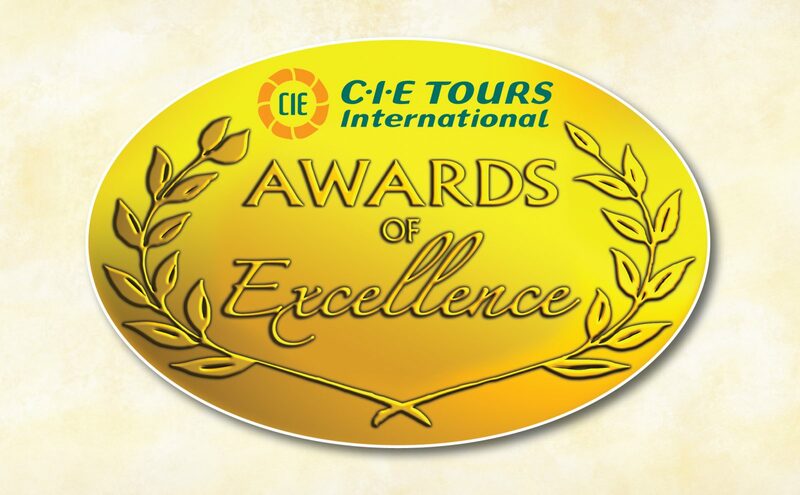 These awards are based on an independent evaluation of questionnaires completed by CIE Tours International coach tour customers. In addition to the tourist attraction of the Dunbrody Famine Ship, the visitor centre is equipped with adequate seating for coach tour groups. Pictured accepting the award at a ceremony in Dublin Castle on behalf of the staff is CEO Sean Connick, Dunbrody Famine Ship Experience & Restaurant with Brian Stack CIE Tours.